This is a new title in the fantastic "First Reading" series, part of the Usborne Young Reading Programme, aimed at children who are beginning to read. The King has a secret. He has donkey's ears! But when he tells the barber his secret, it surely can't be a secret for long. This key series was developed in conjunction with reading expert Allison Kelly from the University of Surrey. 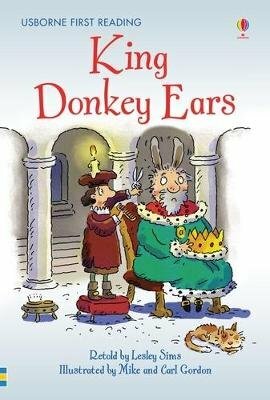 Every title has clear and compelling text that allows children to build their burgeoning reading skills and is accompanied by charming and highly appealing illustrations.